On March 27th, Copper hit a two-week low as many optimistic funds cut their bets on higher prices amid U.S. President Donald Trump’s failure to gain approval for his reformed health care bill, which has fuelled much concern about his ability to implement his desired economic policies. Benchmark copper on the London Metal Exchange ended 0.7 percent down at $5,760 a tonne, having touched $5,671, its lowest since March 9. After Donald Trump was elected, many metals and commodities saw their prices shoot up due to his pledges to invest significant amounts of money into US infrastructure and various other markets. However, after his setback with regards to healthcare, many investors have lost faith in his bargaining powers. A weaker dollar, at four-month lows against a basket of currencies, could yet support prices because it makes dollar-denominated metals cheaper for holders of other currencies. 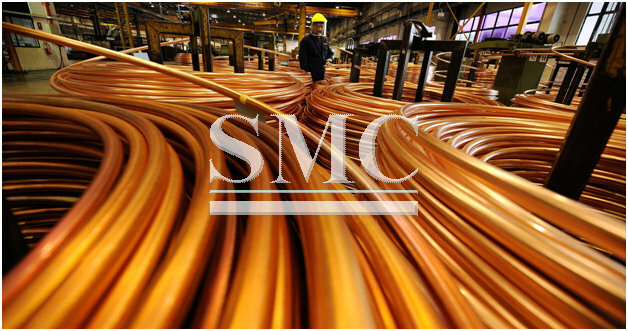 A closing copper price below the 100-day moving average around $5,749 could prompt further losses. The union at Chile's Escondida copper mine has ended its 43-day strike by invoking a legal provision to extend workers' old contract by 18 months, leaving owner BHP Billiton in a weaker position for future negotiations. * ZINC: The market focus is on New Orleans, warehouses' on-warrant stocks have dropped to 183,800 tonnes after a further 21,300 tonnes of cancellations or metal earmarked for delivery. MZNSTX-TOTAL On-warrant zinc stocks -- metal available to the market -- have fallen 42 percent this year to the lowest levels since November 2008. Aluminum ended 0.5 percent lower at $1,930 a tonne, zinc ceded 2.5 percent to $2,760 and lead lost 2.4 percent to $2,297. Tin was untraded at the close but bid down 1.8 percent to $19,500. LME/SHFE ARBITRAGE: LME copper trading was at a 313 yuan premium to prices on the Shanghai Futures Exchange at 1701 GMT, aluminium was at a 1,760 yuan discount, zinc a 75 yuan premium, lead at a 1,630 yuan discount and nickel at a 2,647 yuan premium.